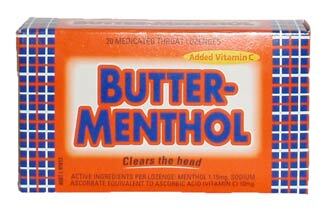 I cannot get through the winter coughs and colds without my Allen's Butter Menthols. They are the only product that I have found that soothes the throat and clears the head - as per its advertising. I usually have to ask for a care package from home but not any more. Thank you SANZA for making it easier to get.